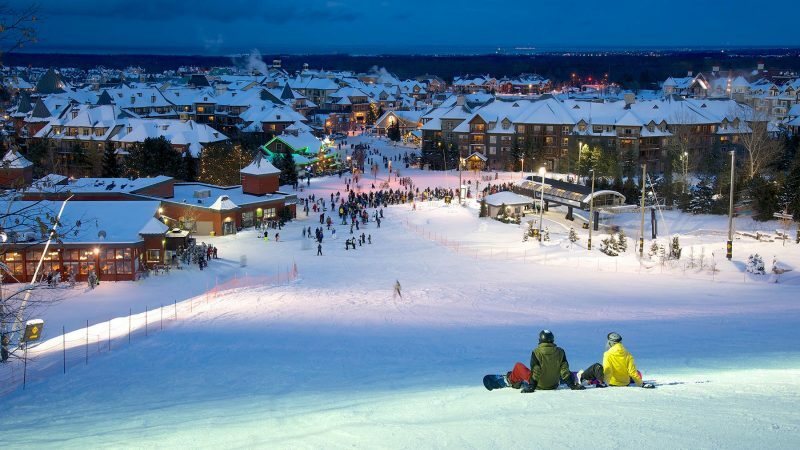 Blue Mountain is Ontario’s largest mountain village resort. Nestled between the Niagara Escarpment and the shores of Gregorian Bay, Blue Mountain is truly picturesque during any season. For those who love winter, skiers and riders can enjoy 42 trails across 364 acres of skiable terrain both day and night. The resort itself offers a variety of family-friendly attractions, along with a beautiful indoor/outdoor Scandinave spa for those craving a little R&R. Location: Blue mountains, Ontario. About 2 hrs drive from Toronto. Just a few hours north of Toronto lies a hidden gem in magical Muskoka. 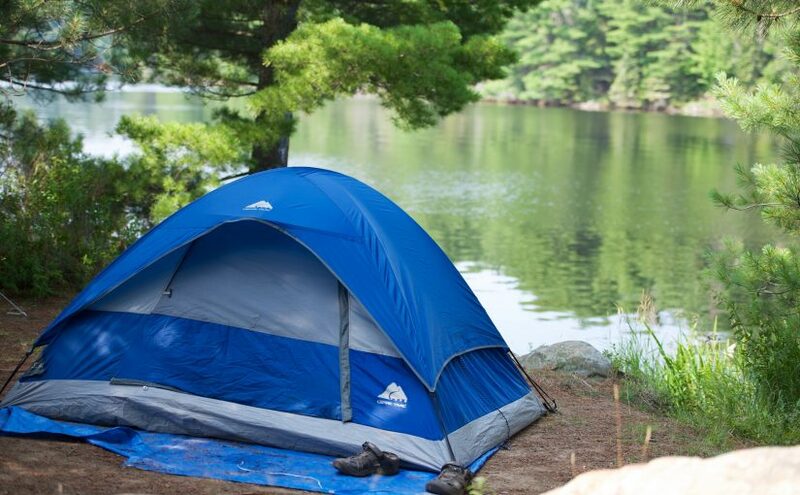 Hidden Valley is nestled deep in nature along the shoreline of the Peninsula Lake in the heart of Muskoka. While it’s a smaller resort with only four lifts, Hidden Valley is a great spot for beginners and families. Location: Huntsville, Ontario. About 2.5 hrs drive from Toronto. Located at Kelso Conservation Area in Milton, ON, Glen Eden is a favourite for families and Torontonians. The cheap lift tickets, proximity to the city and trails make it an easy destination for anyone looking to shred some snow. The area features 5 lifts,15 runs and 3 terrain parks for freestylers. The park offers a rental shop, skiing, a fully-equipped terrain park, snow tubing and lessons for all ages and skill-levels. Location: Milton, Ontario. About an hour drive from Toronto. Calabogie Peaks is a ski resort located approximately 80 kilometres west of Ottawa. The resort offers the highest vertical drop among public ski hills in Ontario (761 feet). In addition they offer the longest beginner trail in Ontario. In 2016, the resort added the “Top Hut” to provide shelter and warmth from a wood stove for guests at the top mountain. With two different lodging options, a movie room, and outdoor hot-tub, this resort is a great destination for tourists and ski-lovers alike. Location: Calabogie, Ontario. About a 4.5 hrs drive from Toronto. A top ski resort, Horseshoe Resort is ideal for fun-filled family vacations and winter getaways. Located in Barrie, only kms from Lake Simcoe and 20-minutes from Barrie’s downtown core, this resort offers 26 ski runs and 4 restaurants. This resort offers much more than skiing, and has an amazing variety of winter activities and scenic surroundings for the family to explore! Location: Barrie, Ontario. About a 1.5 hrs drive from Toronto. Mt. St. Louis- Moonstone is another southern Ontario Ski resort located just north of Barrie. Located just off of highway 400, this resort is a prime destination for Toronto-area skiers. Though the hill is fairly small, it has been extensively built with a total of 13 lifts. Over the years they have added snowboard parks, a pipe Monster Groomer, Magic Carpet and four snow cams. While there are no accommodations on site, visitors can stay only minutes away at a variety of great hotels. Location: Coldwater, Ontario. About a 1.5 hrs drive from Toronto. Facilities/Amenities: No accommodations on site. Snow Valley is a family focused resort located just outside of Barrie and a short distance from Highway 400. Named as Ontario’s favourite family resort, this is a great destination to celebrate the winter season with your family while skiing, snowboarding, tubing and snowshoeing. Location: Minesing, Ontario. About a 1.5 hrs drive from Toronto. Mount Pakenham is a premier family ski resort located to the south-west of Ottawa, Ontario. The resort offers two of the newest lifts in the region, and a wonderful family friendly winter experience. Their low cost lessons and beginner hills make it easy for amateurs to quickly learn the slopes. They also offer tubing and snowshoeing! Location: Pakenham, Ontario. About a 4.5 hrs drive from Toronto. Located among rock formations formed millions of years ago; some of the oldest in the world, Searchmont Resort is a destination with personality – offering a different terrain experience on every trail. The resort offer visitor’s 19 runs, 1 Terrain Park and 4 total lifts. In addition, they have beautiful ski in rustic Chalets and Villas with room for the whole family. Location: Sault St. Marie, Ontario. About a 7.5 hrs drive from Toronto. Located just 9km from the city of Thunder Bay, along the beautiful shoes of Lake Superior, Loch Lomond offers skiing, snowboarding, tubing and boasts an exciting calendar of action packed activities in the winter. Taken under new ownership in 2014, the resort now offers new activities for kids, terrain park expansion and upgrades. Equal make-up of beginner, intermediate and advanced runs, visitors can hit the slopes on 17 runs and 3 lifts. Location: Thunder Bay, Ontario. About a 15 hr drive from Toronto. Things to do: Skiing, Snowboarding, Cross-Country Skiing, Snowshoeing, Fat Biking, Snow Tubing. Located just 45 minutes north of the GTA ,Hockley Valley Resort offers 16 ski hills, 2 terrain parks, a riglet park, magic carpet, ski café and slopeside grill. Stay the night, après ski in one of their 3 restaurants, visit the spa and so much more! Things to do: Skiing, Night Skiing, Snowboarding, Cross-Country Skiing, Snowshoeing.